GridPoint — the smart grid startup that’s raised lots of money and has a lot to prove — has now raised yet even more funding: a $23.6 million round, according to a filing. That brings 8-year-old GridPoint’s total financing to over $240 million since its founding. Will the funding accelerate GridPoint’s long-awaited move from great expectations to real-world revenues? GridPoint has gone through several business plan reincarnations throughout its lifetime and has been making more changes as of late. In late October, the company replaced its founding CEO Peter Corsell with an interim CEO: former CSO and software and communications veteran John Spirtos. A search for a permanent CEO is underway. 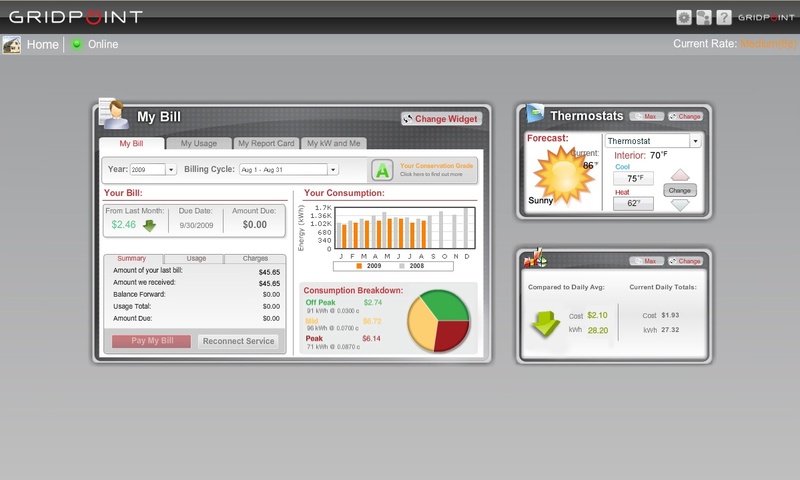 GridPoint started out making technology for managing energy and solar panels in higher-end homes, then shifted to a broader smart grid software play, only to re-emerge recently with a building energy management focus. Along the way, it made a lot of acquisitions: vehicle-to-grid startup V2G in 2008, home energy dashboard maker Lixar, energy management company ADMMicro in 2009, and energy contractor Standard Renewable Energy in February of last year. GridPoint’s sprawling lines of business make it a potential competitor to companies in just about every smart grid field, with the possible exception of transmission and generation systems. Its home energy management systems will compete with those from dozens of startups — including well-funded Silver Spring Networks and its Greenbox home energy platform — as well as giants Google (s GOOG), Microsoft (s MSFT) and Intel (s INTC). As for building energy management, GridPoint will be going up against giants like Siemens (s SI), Honeywell (s HON) and Johnson Controls — the latter two are partnering with IBM (s IBM) on building management — as well as other startups in the field.